Rice can be replaced with any millets rice to make the dish healthy. My mom used to make arisi kanji sometimes for my paati either for breakfast or for dinner. Especially during summer, while making vadam, she makes this in bulk and keep it chilled. So it will be a perfect summer coolant. As the porridge has vendayam(fenugreek seeds) it will be a natural coolant for the body. Either you can have this for breakfast or for dinner or make it bit thin and drink as a mid day drink too. This recipe is a perfect one for people who are on diet and diabetic too. I tried this porridge with samai arisi. You can try with any millet of your choice. Check out my millet recipes here. In a pressure cooker, add oil and throw in the mustard seeds and when it splutters, add the cumin seeds , asafoetida and venthayam. Saute for few secons without getting it burnt. Add 2 cups if water to this and add salt. Pressure cook this for 3-4 whistles. Once done, mash it well and add 1/2 cup of water to this. Allow this to cool completely. Once it is cool add buttermilk to this. Mix well and add pepper powder to this. I added freshly ground pepper. You can add finely chopped carrots, few peas to make a more healthier version. 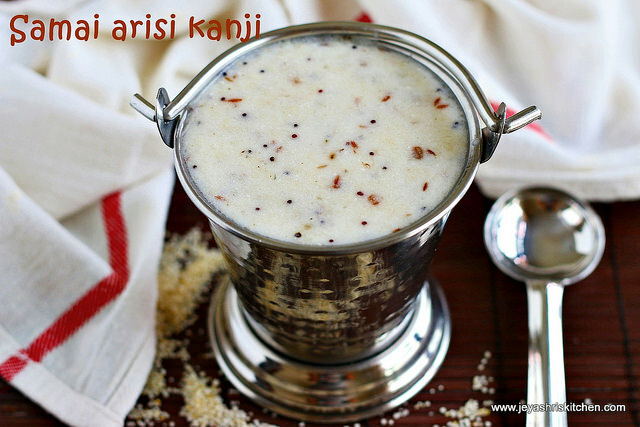 This arisi kanji can be made with thinai arisi, varagu arisi or kuthiraivaali rice too. Even you can add finely chopped or whole shallots( chinna vengayam) to the kanji to make it more flavourful. Instead of adding whole vendayam you can add dry roast it a nd powder it and add in the cooked rice mixture when it hot. If using rice add par boiled rice. Ebook illaya neengalum samaikalam sirudhaniyam ? keep doing it Jeyashri madam !! 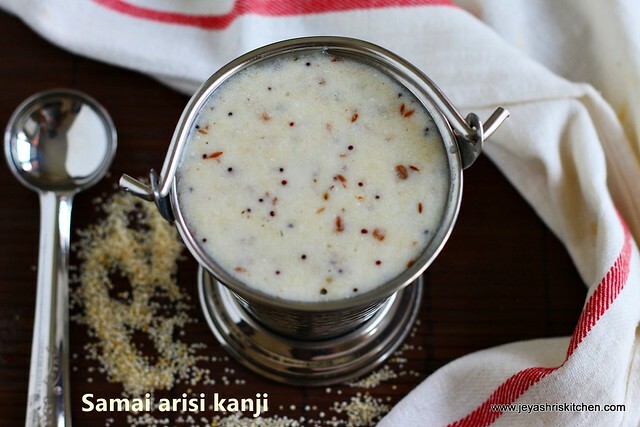 This millet kanji has become my comfort food.i love it with sundakai or manathakkalivathal. 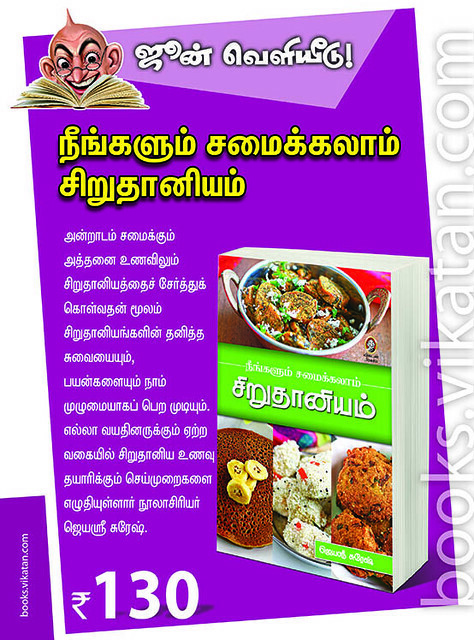 "Millets can be replaced with rice to make the dish healthy." It is in fact Millet's are far more healthier than Rice. Low GI and GL values. Millet's have more nutrients and fiber rich. Kindly translate the names of the millets in english. The recipe looks yummy n healthy.